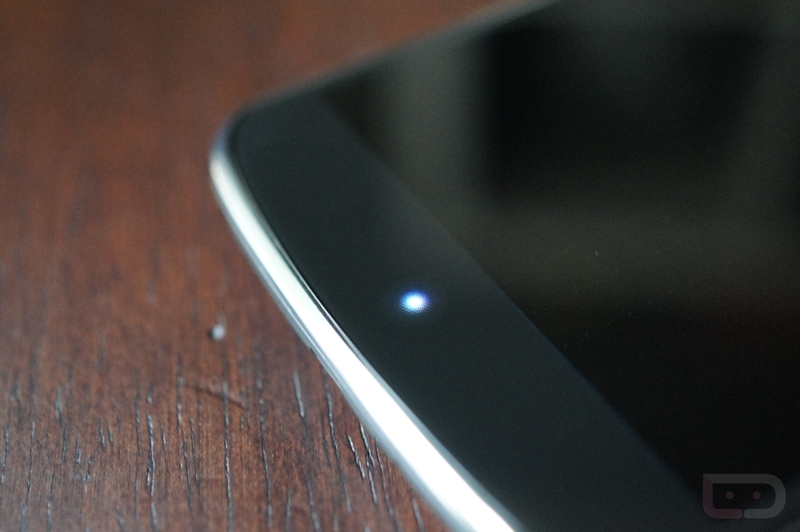 Rather than a Nexus 5 is there a chance that Google releases a new version of the Nexus 4 this summer? According to a new rumor that is making the rounds and appearing in our inbox far too often, this is the word on the dark, back alley, make-sure-you-have-a-tight-grip-on-your-purse, streets. The rumor is this – Google is going to release a new variant of the Nexus 4 with both CDMA and LTE radios inside, along with 32GB of storage. It’ll be unveiled at Google I/O in May. So, what do we think? Well, first, Google seems to have made it clear at times that they aren’t fans of tying their Nexus devices to carriers. We all know from back in the days of Ice Cream Sandwich that their Android engineers spoke of having their minds blown over the carrier approval process for delaying what should be simple updates. But then again, Andy Rubin said after the launch of the Nexus 4 that they would “certainly have a desire to offer devices on every carrier on the planet.” His comments came during an explanation over the lack of LTE in the device and the idea that they didn’t want to use hybrid LTE networks along with older tech and dual-radios, since they diminish the user experience and battery life. So which is it? Do they hate carrier-tied devices or not? Or was Rubin speaking generally about having a device that works on all carriers, yet isn’t necessarily branded by them? Tough to tell. This rumor does pose a couple of interesting points, though. The first being that Sprint received both of their Nexus devices (Nexus S and Galaxy Nexus) around April and May, long after the initial release of the same device. Should Google have figured out a way to toss in a CDMA/LTE radio inside one, launching on Sprint at Google I/O in May certainly matches up to previous time frames. Then again, Google has had to publicly state some of their frustrations with CDMA in general, as it is difficult to support in AOSP. Do they really want to go down that route again after all that we’ve been through? We’re talking withheld factory images, binaries, and updates for both Sprint and Verizon variants of Nexus devices, all of which run on CDMA networks. The other part of this rumor mentions that we could see this version with 32GB of storage inside. As you all know, the current Nexus 4 only comes with 8GB or 16GB of storage, which in today’s smartphone era, isn’t necessarily enough thanks to massive pictures, HD video recordings, HD games, and movie downloads. One could fill up 8GB (since the system usually takes a couple of that to begin with) in no time without even trying. So, a 32GB version of the phone does make some sense. We’re also acknowledging the idea that Google would likely release a new version of the Nexus 4 over a brand new Nexus 5 since the Nexus 4 is still only a couple of months old, makes a lot of sense. Google tends to launch new smartphones at their winter events, while saving the mid-year I/O conference for tablets and random media players that lack any functionality. Why not toss out a new version of the Nexus 4 to push sales until they can launch new hardware during the holidays? We should point out that the folks at Android Central mentioned the existence of a similar version of this device back in November of last year, stating that it could arrive by late Q1. Obviously, that didn’t happen. They later weighed in with the idea that we may not see this phone after all, even though they had heard that AT&T and Sprint versions were in testing, because news on either device had gone silent for months. At least that’s another supposed confirmation of the device’s existence, but at this point, not necessarily in a good way. Keep in mind that we also saw a brief glimpse of a white Nexus 4, along with a matching white Bumper, yet have never seen either officially launch anywhere. Google does some head-scratching things more often than we can keep track of. I’ll just say this – a CDMA variant of the Nexus 4 makes little sense to me after seeing what has happened over the years with both Sprint and Verizon versions of Nexus phones. But then again, this is Google we are talking about. So, folks, we really just don’t know. One can always dream. Cheers Sean, Roderick, and everyone else! Reminder: Verizon Upgrade Dates Move to 24 Months as of Today to "Align With Contract Terms"